Keep your Reel in Tip Top Condition with Abu Garcia Reel Lube. This premium quality reel lubricant helps reduce friction and prolong gear life. 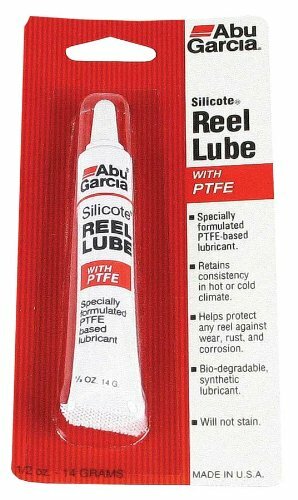 Gear grease contains Teflon® while special Abu Garcia silicote oil is designed to keep your reel in top condition.